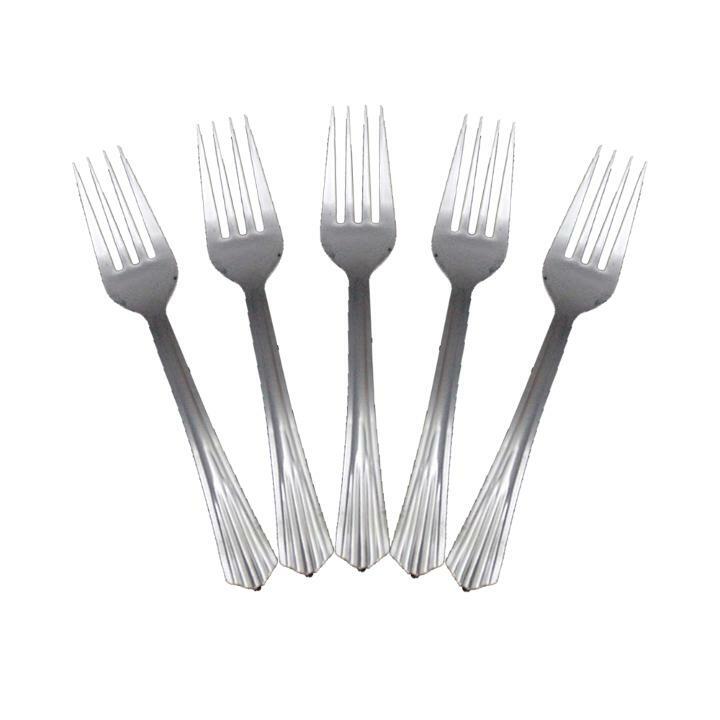 Delight dinner guests at your next event with our metallic silver plastic forks. Made of high quality plastic, each package of forks combines the convenience of disposable plastic with the stunning appearance of real cutlery. Exquisite flatware is a cost effective and simple way to turn a wedding, cocktail party, or formal affair into a glamorous event! 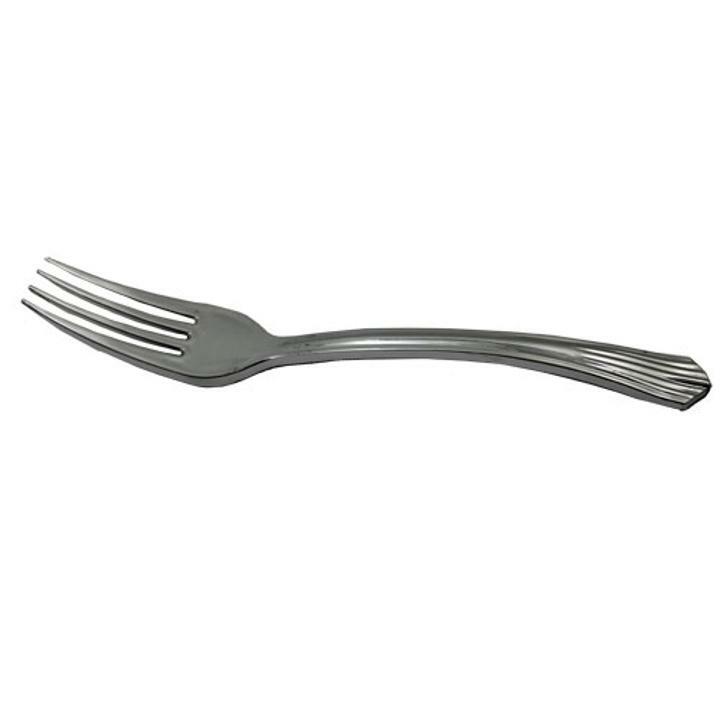 Each fork measures approximately 7.5" in length. L: 7.5 in. W: 3.5 in. H: 1.0 in. I greatly appreciate your service and quality and your prices are awesome!! !